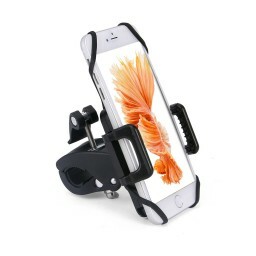 Non-slip rubber grip cradles secures your device all-around to guard against any accidental falls. 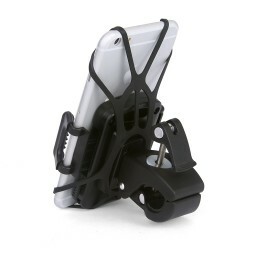 Bike mount holder: Non-slip rubber grip cradles secures your device all-around to guard against any accidental falls. Protect your device on your next thrilling journey perfectly. 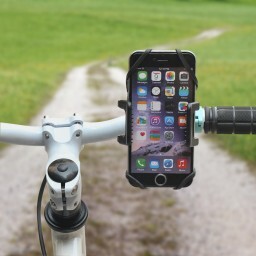 Phone holder for bike: screw the flipper to hold firmly and remove the mount easily by hand. 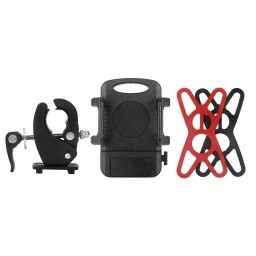 Gopro bike mount: as wide as 1.97-3.94 inches; this mount frees your hands up so you do not miss any fun on the exciting ride. ROTATABLE BY 360 DEGREES: it presents the best viewing angle on handlebars ranging from 18 - 40mm (0.71 - 1.57in) in diameter. PRACTICAL AND USEFUL: Keeps your device within reach anytime; simple push on the button to instantly release your phone.Holds iPhone 6s, iPhone 6s Plus,iPhone 6, iPhone 6 Plus, iPhone 5, iPod Touch, Samsung Galaxy S6 S5 S4 S3, Note 1, Note 2, Note 3, Note 4, LG G4 HTC One Nokia Lumia Google Nexus Sony Xperia GPS, Blackberry z10, MX2 3, Motorola Droid RAZR / MAXX, HTC EVO 4G, HTC One X, LG Revolution, GPS Holder and More!